I swear I've been taking over this thread these past few days, but anyway, KK says Lando may be the next SW anthology movie. At least based off things she said to a French magazine. Except there were all those Obi-Wan rumors just last week. And she says there are more stories to tell with Han as well. So much SW..... Should we make a Lando movie thread? @californiagirl wrote: I swear I've been taking over this thread these past few days, but anyway, KK says Lando may be the next SW anthology movie. At least based off things she said to a French magazine. Except there were all those Obi-Wan rumors just last week. And she says there are more stories to tell with Han as well. So much SW..... Should we make a Lando movie thread? The quote was corrected to: "Nous adorerions raconter un jour une histoire consacrée à Lando Calrissian, mais ce n'est pas d'actualité. 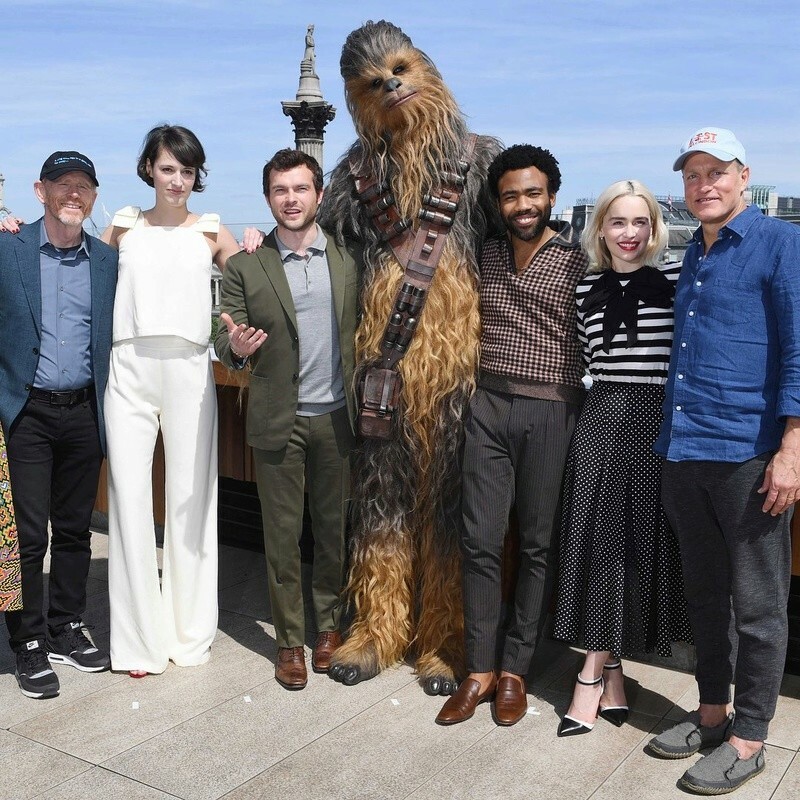 Ce serait aussi amusant de relater l'histoire de Han et Chewie..."
Which means (my poor translation): "We'd love to make a Lando film in the future, but it's not something for the present. 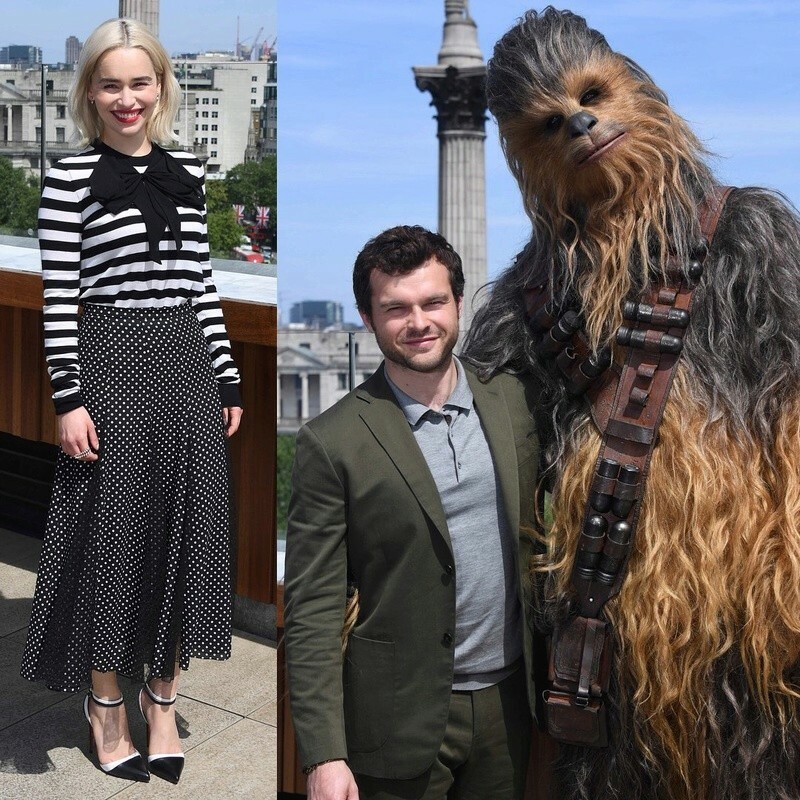 It would also be fun to tell the story of Han and Chewie..."
@Darth Dingbat It's all so up in the air in terms of what SW movies are even happening or when post-IX. Alden says he signed on for three movies as Han, which totally might not happen since Felicity Jones also signed on for several. Maybe Lando, maybe Obi-Wan, whatever Rian is doing, whatever the GOT folks are doing. And to think Solo hasn't even done their actual press tour yet outside of the premieres. SW is possibly the world's most popular movie series/brand, but right now they do seem to be banking on that brand loyalty alone and not whatever actual stories they are telling. In a way, that's what they've been doing with the ST as well. Just letting people get excited (or not) there's an Episode IX at all and not caring to clarify or emphasize what the actual point of the trilogy is. LF and even Rian to a certain extent are as in love with the mystery box as JJ, it would seem, and it's sort of come back to bite them. it already has- that's the main reason for TLJ backlash imo. They created too many mysteries around things that aren't really important to the story. Like Snoke or Rey's parentage. This maybe works for the GA because they are kept mildly interested and are surprised when the actual movie shows something different. "Oh, Rey isn't Luke's daughter after all?- WOW never saw that coming"
But with the "real fans" it's something completely different - they theorize and speculate over the mystery boxes and at the same time their expectations are getting so high that no movie can possibly deliver no matter how good it is. It's a fine line between keeping a movie ambiguous so it's not too predictable/boring and being too confusing because it's unclear what the characters motivations are. Sorry- back to topic: with "Solo" I consider myself GA. I go to the theatre having a good time...if it's good and they make another one, I'll go see it. If I didn't like it I just shrug it off. @Night Huntress It may have also been to deliberately throw off the scent, as I predict there will be a large public uproar from come circles over endgame Reylo when it happens. In other words, here's a nice little interview with Alden and DG in the LA Times. More Solo cast pics, now for photo call in London. Dang if they aren't on a world tour. They still haven't done their round of regular US press/talk shows. I suspect that will be in the next week since Deadpool 2 is sucking up all the oxygen right now. Seems to be cutting it a little close still. Here's a longform video from People. Also there's going to be a People Special/Collector's issue for Solo. And Phoebe-Waller Bridge didn't know what a droid was before the role She's not the first, Natalie Portman didn't know the difference between ST and SW before the prequels. Just wondered when everyone was watching Solo: a Star Wars story ? For spoilers etc on this thread . Am going to see it this week coming (24th ) . Is anyone seeing it earlier? A new thread where spoilers and spoilery discussion of the movie are allowed has been created here. This thread will remain spoilerless for all those who haven't seen the movie yet and/or don't want to get spoiled. If you have any questions, please contact the staff by PM. Thanks! @AhsokaTano wrote: Just wondered when everyone was watching Solo: a Star Wars story ? For spoilers etc on this thread . Am going to see it this week coming (24th ) . Is anyone seeing it earlier? Midnight showing on 23/24. Pumped is understating my excitement. I know there's tons of reviews for Solo up by this point (it has a 71% on RT), but I do tend to trust this big YouTuber critic, Chris Stuckmann. He's a huge SW fan, a big fan of TFA and TLJ (except the Canto Bight stuff), and increasingly negative about RO. He's a little meh on Solo (he posted his review (NO SPOILERS) literally half an hour ago), though he liked the Chewy/Qira/Lando parts. I like that he points out how much was done with the character of Han in TFA (not here apparently). I didn't read the big spoiler post a couple pages back, so I'm still mostly unspoiled. Seems kind of like a fluffy series of adventures and escapades. Also, a couple of other YT people I follow had been discussing on Twitter how the approaches to TLJ and Solo are so different they practically have whiplash. Wonder if this will make more people excited for IX. I'm spoiler free - haven't even seen any trailers! I've seen a few photos - that's it! I'm going to be seeing the movie at midnight 24 May GMT. Not sure which time zone you are in starliteprism.. my sister is seeing it 3pm 23 may GMT.. but I'm telling her not to tell me anything! If I'm one of the first let me know and I'll get over here to answer questions if you like..
edited to add: Thanks to the mods for creating the two threads. good thinking! I'll see it on Saturday, because I have a very busy week. I'm looking forward to it- but I'm not nearly as exited as I was for TLJ. I'm not really spoiled - I've seen the trailers and read a few informed opinions. That's it. Ooh looks you are gonna be first ones to see it ! Exciting ! Am seeing it on 24th May 6pm Uk time which I think is one hour ahead of GMT currently . Am really glad we’ve got a new spoilers thread now created by mods . ( thank you Irina de France ). I'm on GMT, as live in London. ;-) Looking forward to getting to my cinema seat tomorrow night for the 12am showing on the 24th. Long Variety cover about Solo, where they are being more open about what went down with Lord and Miller. Sounds like they were not efficient, experimenting for days and using up more space/resources than Howard did. One of the crew says L&M weren't that concerned about how the film looked. Kasdan also says there were tone issues (L&M's version sounded grittier). Ron Howard says he wasn't told to carry out some pre-determined vision, and the Kasdans were open to change. 70% of the movie is Howard's. Woody Harrelson was devastated by the change in direction, others, namely Emilia Clarke, were thrilled. 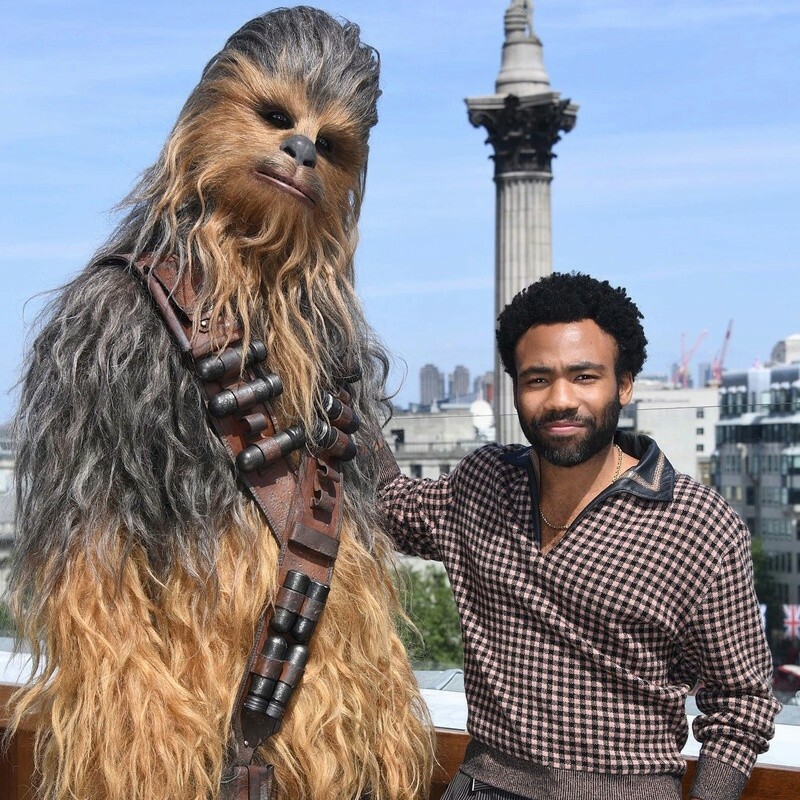 Donald Glover just wanted to play Lando and didn't care too much, but said he felt like the youngest kid while his parents were getting divorced. I remember a different article where Alden says he felt like he was at the kid's table. So many magazine things related to Solo, they're really going on a blitz here, since Deadpool 2 was sucking up all the oxygen in the room. I think a People one was going to come out soon, and Entertainment Weekly has a standalone issue devoted to the movie. I'm sure the world is going to bemoan the loss of L and M, and how Disney is evil and corporate. Those are probably the same people who hated TLJ for changing everything to spite SW fans. OMG! This is so much fun and I love Joonas and Emilia! Trying to stay spoiler-free, read mostly mediocre reviews. Mmmmmm. My daughter who is just a GA saw it and said it was a fun movie and she liked Alden as Han. I'm going in with an open mind, anyway seeing a film on the big screen is always a joy. @Blood Moon wrote: Trying to stay spoiler-free, read mostly mediocre reviews. Mmmmmm. My daughter who is just a GA saw it and said it was a fun movie and she liked Alden as Han. I'm going in with an open mind, anyway seeing a film on the big screen is always a joy. I loved it too ( gonna see it again)- saw it yesterday and left my comments on the spoiler thread !